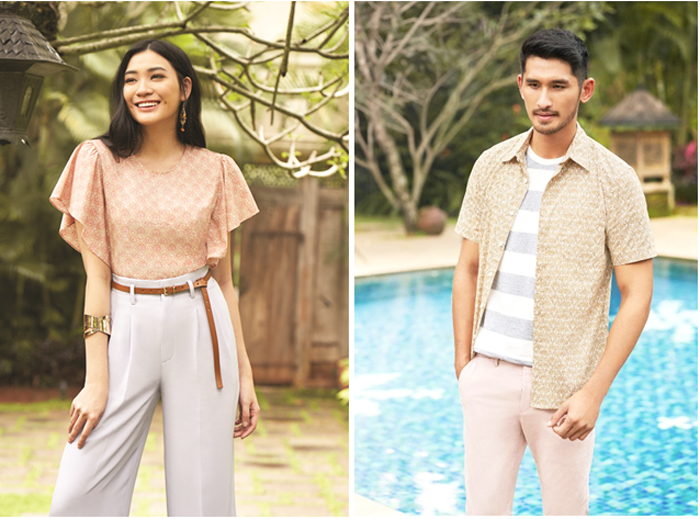 UNIQLO announces the regional launch of its 2018 Spring/Summer Batik Motif Collection. Following its first launch in 2016, its third release features traditional textiles that harmonize cultural heritage with modern elements.The entire collection will be available in all stores starting March 23 and additional men’s items will be released on May 25 for the second launch. The 2018 Spring/Summer Batik Motif Collection was inspired by the diversity of Indonesian cultural motifs, such as Sido, Ceplokan, and Kembang. UNIQLO preserves the beauty and characteristics of traditional Batik motifs while offering easy-to-wear clothing. This year, UNIQLO creates more traditional patterns and improves the style of the collection to cater to younger customers. The new lineup also includes modern designs and silhouettes in light and comfortable materials that are well-suited for the tropical climate of Southeast Asia. The latest collection offers an extensive lineup of items, including stand collar shirts for men and frilled sleeves and ruffled blouses for women. The Sido pattern in the collection represents hope, while the Ceplokan motif represents the call for unity. The Kembang motif features beautiful flora imagery that symbolizes human life. Additional men’s items will be released for the second launch in May, expanding the variety of motifs, and bringing brighter, more vibrant colors and modern patterns inspired by natural elements for special occasions. Through the Batik Motif collection, UNIQLO aims to increase awareness on Indonesia’s cultural treasure among younger generations around the region. The patterns in the collection have been faithfully developed by UNIQLO in line with its LifeWear philosophy to design clothing that is of the time and for the time. With this collection, UNIQLO also hopes to meet the needs of younger generations for affordable, easy-to-style daily wear.